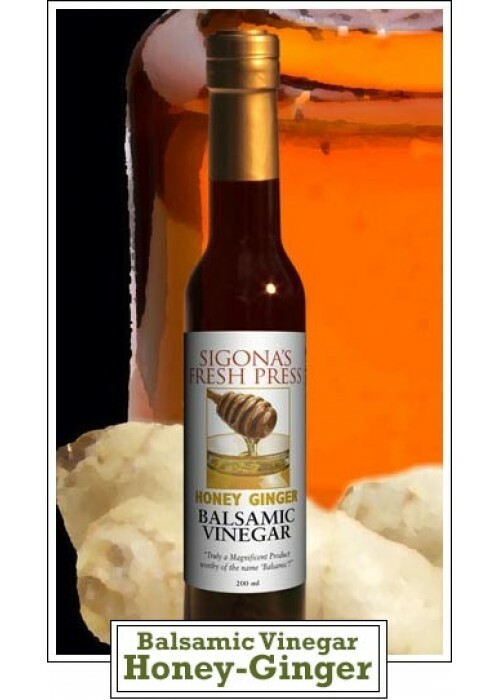 Honey and ginger play well together and bring a gentle, spicy heat, which balances perfectly with the moderate, natural acidity of our white balsamic. This balsamic is superlative when paired with our Persian Lime Olive Oil and used to dress a Chinese chicken salad. It also makes for an outstanding flavor combination when mixed with our toasted sesame oil. A simple yet amazing marinade recipe includes our Honey-Ginger Balsamic, Roasted Sesame Olive Oil, Garlic Infused Olive Oil and soy sauce.